Catrin Howell lives on her parents farm in Carmarthenshire but she has a workshop in London. The deep roots of her work are in the environment and life around the family farm,particularly the animals – their characters, their movement, their strengths and vulnerabilities. 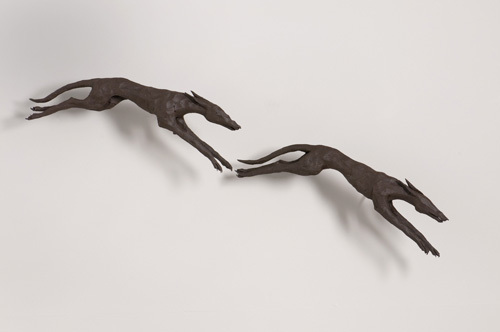 Although small in scale her sculptures have a powerful impact.